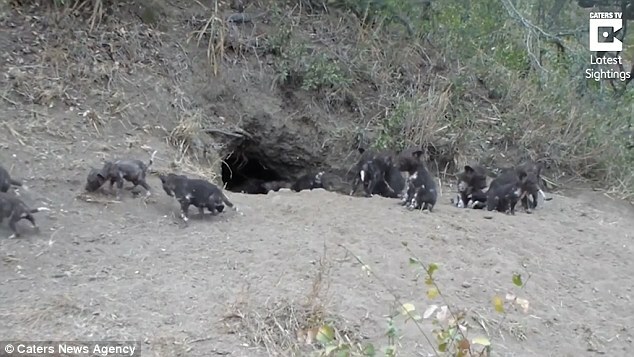 It's a whole new world for these tiny puppies as they emerge out into the open air for the first time. 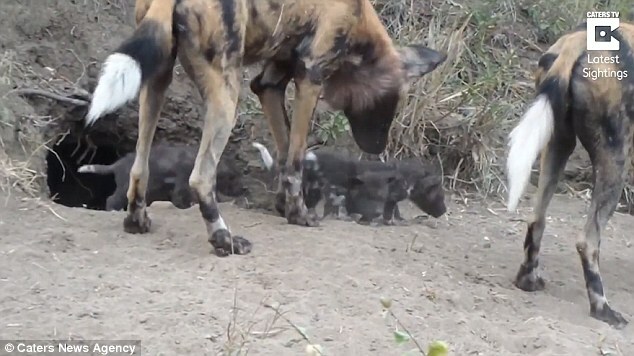 Exciting footage captured the moment a pack of wild dogs brought their little ones out into the sunlight to the amazement of those watching. Part-time wildlife-photographer and Industrial Engineer, Morkel Erasmus, was on a safari at Ngala Reserve in South Africa when he began filming the incredible sight. 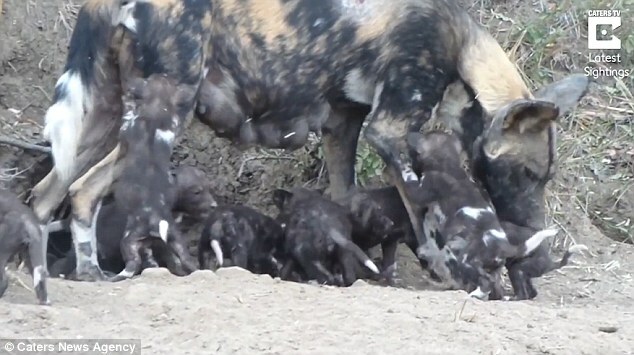 He added: 'My wife and I were invited to visit some den sites of painted dogs in the central Kruger area by Grant Beverley, the EWT head of Wild Dog research for Greater Kruger. 'After spending some time with the pack on the Zandspruit Aero Estate in Hoedspruit, we made our way to the Ngala Private Reserve near Orpen gate, which was where this video was filmed. 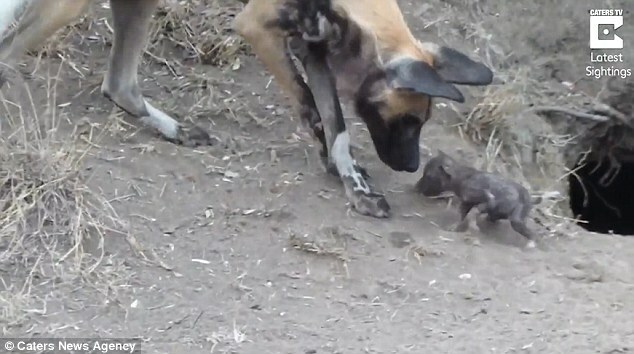 Responses to " Wild dog puppies emerge from their den for the first time and look super-cute"